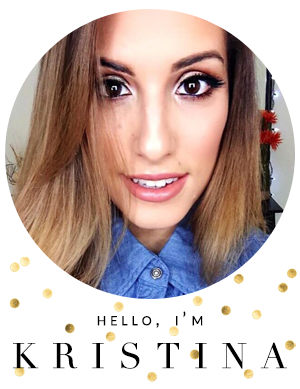 I get asked a lot how I highlight and contour on myself and my clients, SOOOO, I decided to just write a quick blog post explaining what to do and why. 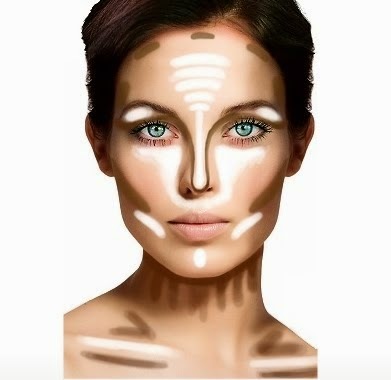 Contouring: the reason why we contour is because we are giving shape to an area of the face and trying to enhance our natural face structure through makeup. Unless you are trying to go for a harsh look, contouring is suppose to just show a subtle definition on your face, not make your face look so "flat". When looking for products to contour with, always stick to a product that it matte, aka no shimmer. Also, when contouring, you are making shadows on your face, so I like to use a brown toned shadow or color that has a hint of beige, brown, taupe, or grey in it. That's where you need to be careful though because you don't want to get a product that is going to make you look muddy. *My two favorite powders to contour with are my Smashbox Contour Palette and Anastasia Beverly Hills Contour Book. I use a NARS ITA Brush or a Sigma F40 to contour/bronze. *Bronzers I LOOOOOOVE--Chanel Tan de Chanel Bronzer (cream), Mac Give Me Sun, IT Cosmetics CC Bronzer, Milani Bronzer in Soleil, Guerlain Terracata Bronzer. After we are done bronzing and contouring, we need to highlight the face. Highlighting is especially important after you contour because it brings the light back onto your face. If you look in the diagram, you should highlight your under eye area, (in a triangle formation so it will help lift your eyes), corners of your mouth where there is a shadow, center of your nose and foreheard and also center of your chin. I use a lighter concealer color so I can conceal and highlight at the same time. Knocking two birds with one stone as they say lol. To blend this all in, I use either a angled kabuki brush (Sigma F84) or my trusty dusty beauty blender! Products I use to highlight: Nars Radiant Creamy Concealer in Custard, Mac Prolongwear Concealer in NC20 or NW20, Mac Prep and Prime Highlight Pen in Light Boost and then to set those I use either my Anastasia Beverly Hills Banana Powder, Ben Nye Banana Powder or Smashbox Highlight and Contour Palette. Once I am done with all of that mess, lol , I like to "GLOW" aka I love highlighting in the sense of shimmer on my cheekbones so I can glow like a disco ball when the light hits me!! It's not for everyone but in my opinion, you're crazy if you don't try it out at least once! Hope this helped those who were a little weary or confused about where to start!!! wait. . . . what are you still doing here?! GO PRACTICE! !